The Partner Online Web Interface enables the control, viewing, configuration and verification of The Partner Online patrol application and handset. The web interface is designed to be clear, modern and easy to use, while providing advanced functionality to assist frontline personnel. 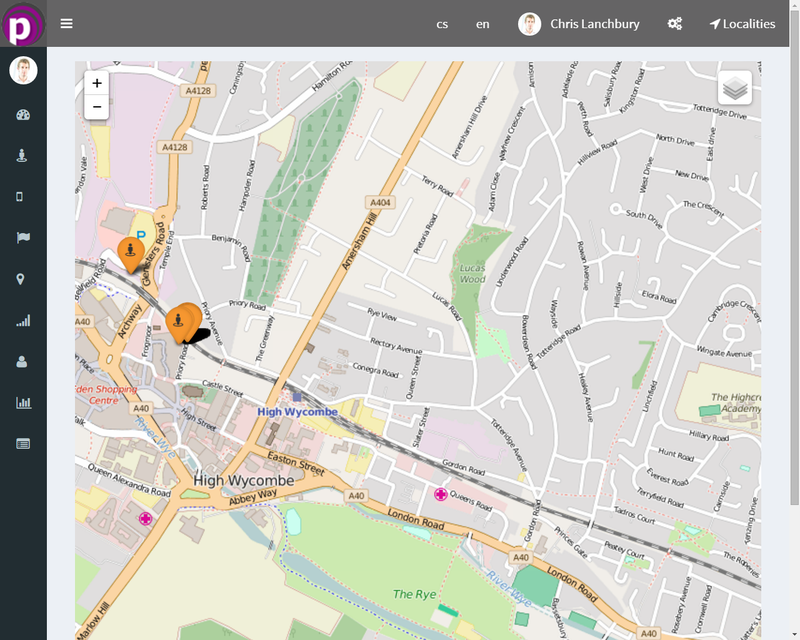 The Map View can be used to visualise checkpoints and their locations. Using a filter for the user and the date/time, you can view the route taken for any patrol. The map will display where the NFC tags are located using GPS coordinates from the phone when the checkpoint is set up. The system also has the ability to show on a map the location of sensors, mobile handsets, periodic GPS coordinates from the handset and attachments. 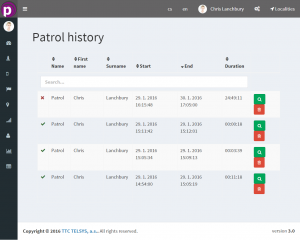 The Patrol History tab will allow you to generate reports for all historical patrols, events and attachments that have been logged through the system. Using Persons and Localities on the admin panel, access can be granted for users to view their own information, but not other localities on the server. The permissions for each user can be set individually to allow fine-grained control over access to data and settings. 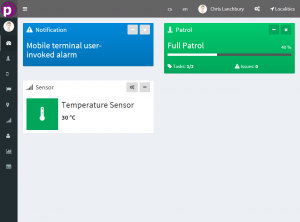 The online interface allows users and patrols to be added or changed remotely as the app synchronises with the server using mobile data network or Wi-Fi.